Once you’ve set up a cadence, you can send a test email to make sure the template looks good before you start contacting prospects. Go to the Cadence and click on the email you want to test. 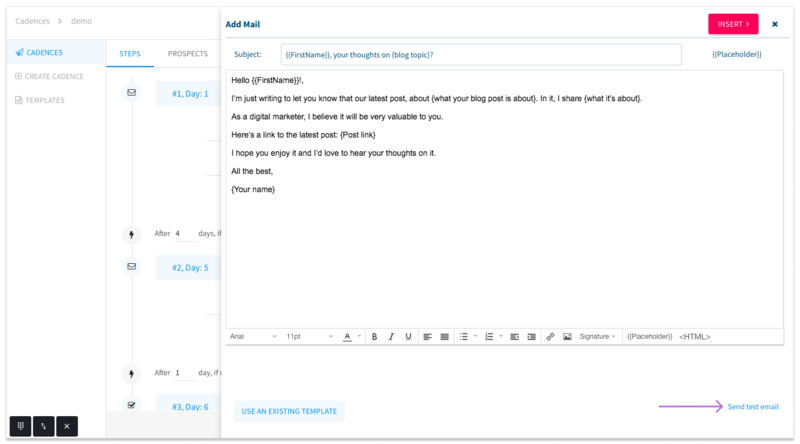 At the bottom right of the template, click on Send Test Email. You can select a prospect to include their details as an example in the test email. If you do not select one, the placeholders will not be changed in the test email. Enter the email address to which you want to send the test email to.